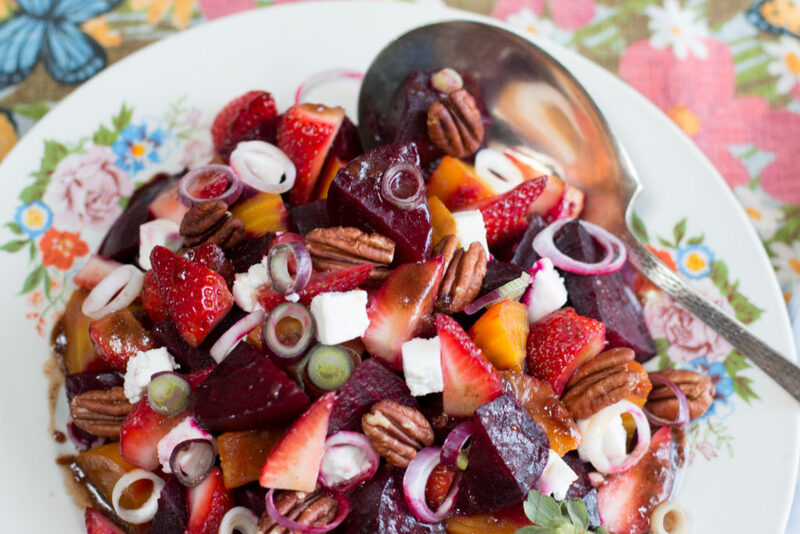 Spring Produce is soon coming to markets ~ this salad is crave-worthy and perfect for entertaining! The perfect dish for Entertaining! For Easter, Passover and serving a crowd. 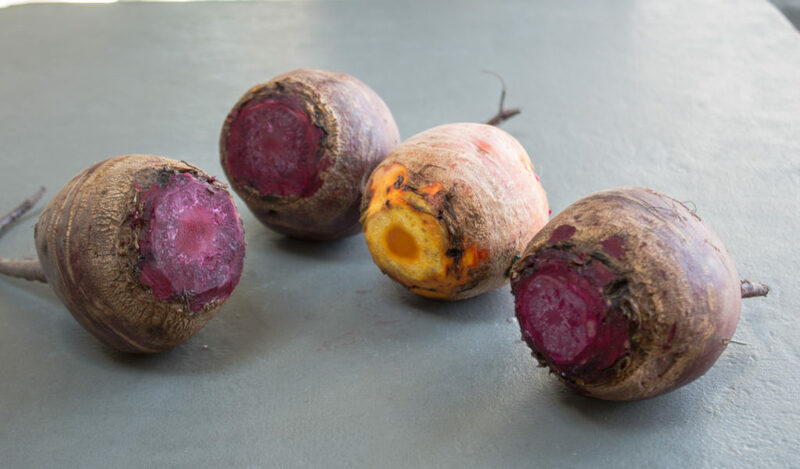 Roasted beets are luscious and naturally sweet – but very earthy and aromatic. 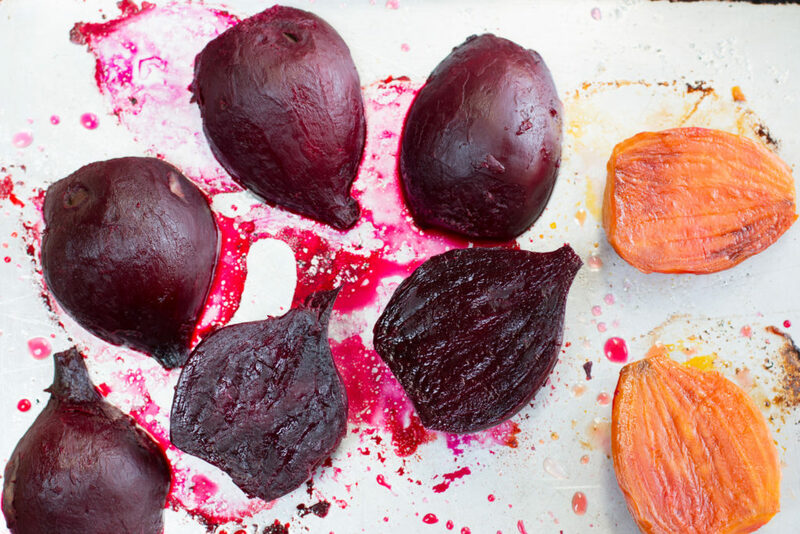 Correctly roasting brings a wonderful flavor and texture to beets. I have prepared them every way: shaved raw, grated, boiled, steamed and roasted. My oven roasting method I think is my favorite ~ beets get a golden color and depth of flavor, and cook quicker than beets which are roasted whole! Pairing with Strawberries: great complimentary textures and flavors. Continue layering with assertive sliced scallions, creamy and tangy feta cheese and crunchy pecan halves. 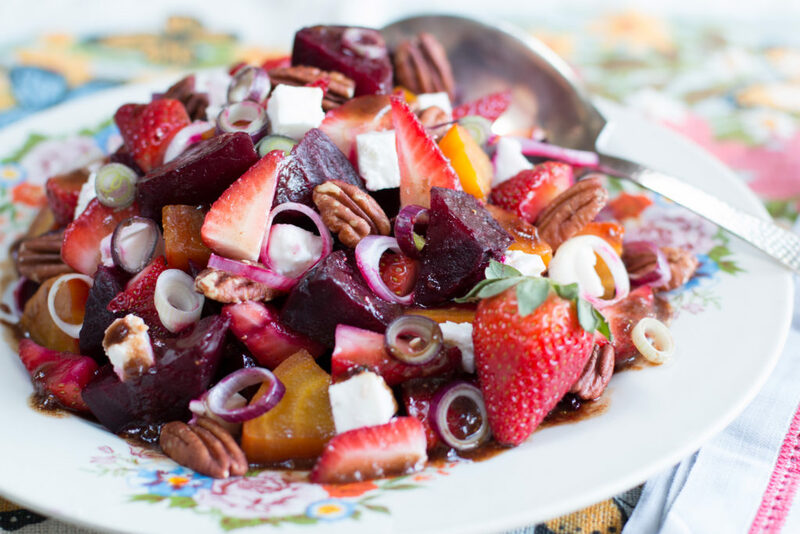 The Strawberry-Honey Balsamic Vinaigrette adds just the right piquancy. Strawberries will soon be locally available! Find a grower or farmers’ market near you. 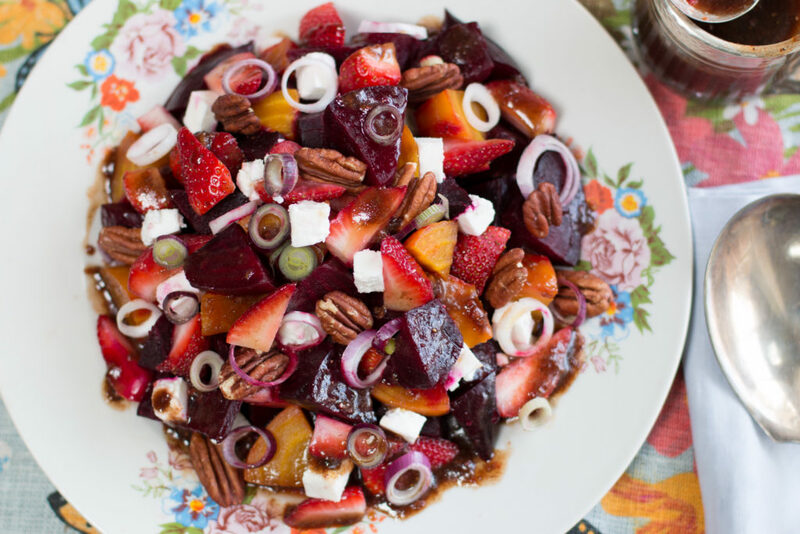 A quite simple salad – I give full instructions on the best way to roast beets! They will take an hour in the oven, prepare all the other ingredients and toss together. 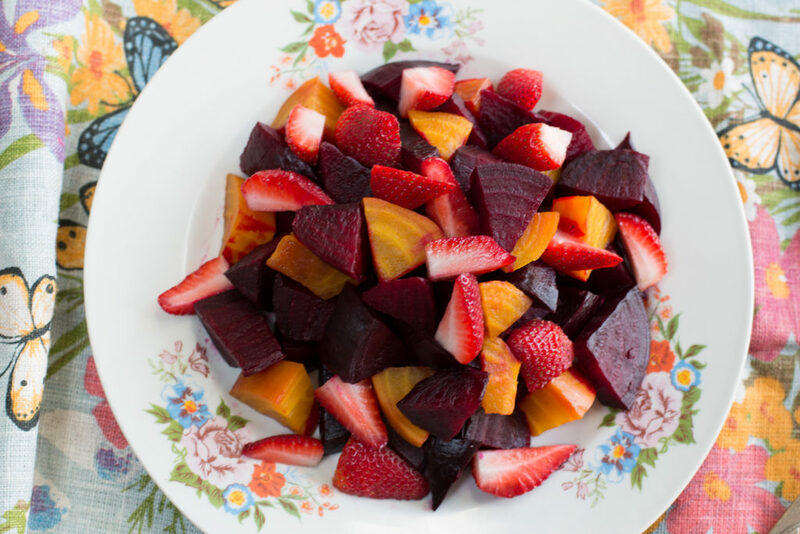 Cut beets in half, roast covered – cut side down. Easiest to peel when still warm! I’m loving this vinaigrette! 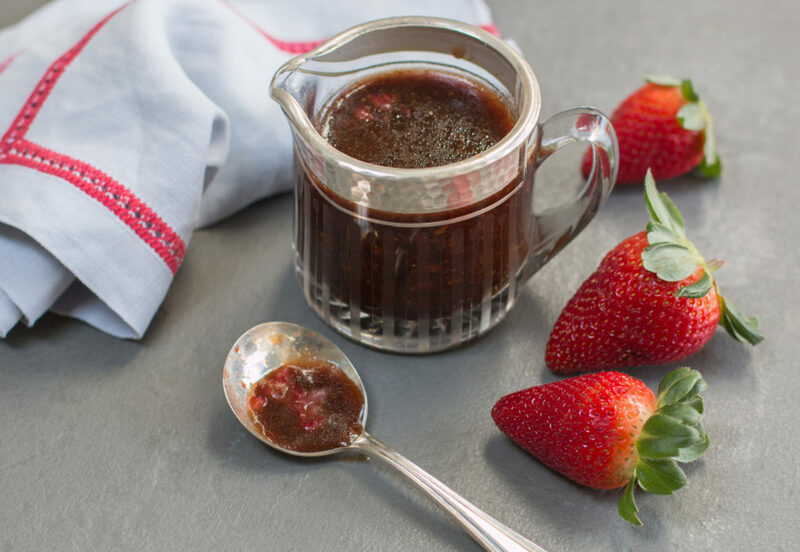 Puréed Strawberries are blended in – lending a beautiful color and natural sweetness.